On March 6 when the media published this statement by Musa Ghazanfar-Abadi, head of Tehran’s Revolutionary Courts, nobody imagined that in less than two months the militiamen of the Iraqi Popular Mobilization Forces would arrive in Iran, armed and traveling in military vehicles. 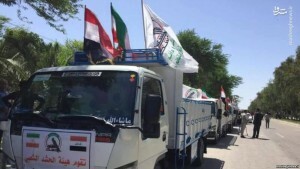 On Saturday, April 14, Colonel Jamal Shakarami, commander of the Islamic Revolutionary Guards Corps (IRGC) in the western province of Ilam, said that a large convoy of Iraqi militiamen had arrived in Iran to help provide aid and relief to areas hit by recent floods. Shakarami said a convoy of 50 vehicles carried Iraqi Al-Nojaba and Hashd al-Sha’bi militias into Iran’s western provinces – among some of the worst-hit regions. 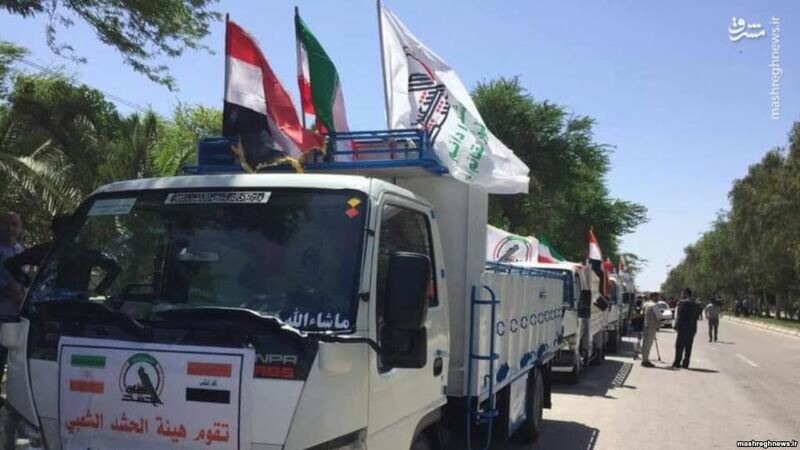 Some units were to be stationed in Khuzestan and others to act as mobile units in Khuzestan and Lorestan to help flood victims. 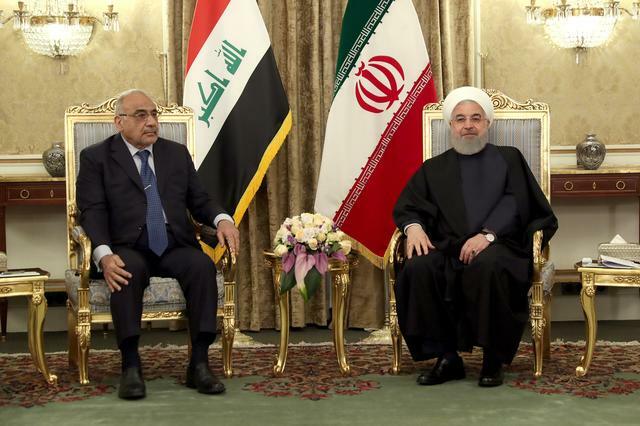 On Saturday, Iraj Masjedi, Iran’s ambassador to Baghdad, confirmed to Iranian news agencies that hundreds of Iraqi militiamen had been deployed to western Iran. 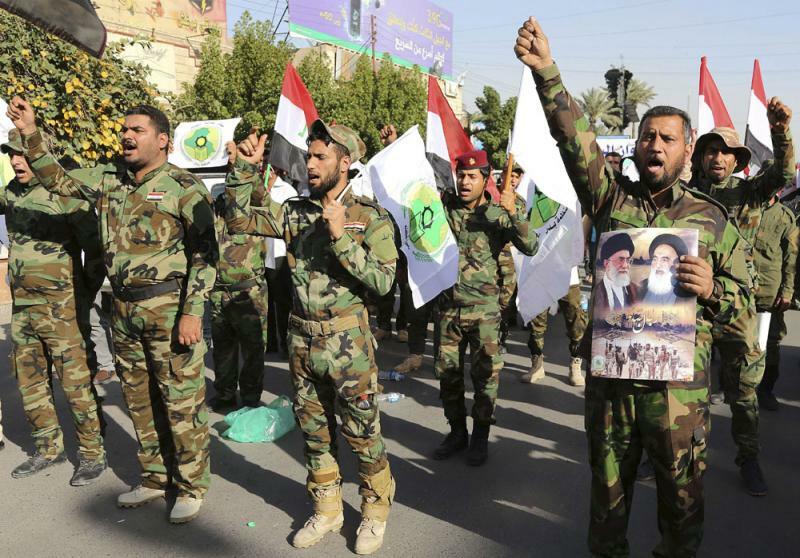 All of the Iraqi militia groups also happen to be forces that were either created by the IRGC or have close relations with it and share its ideology. 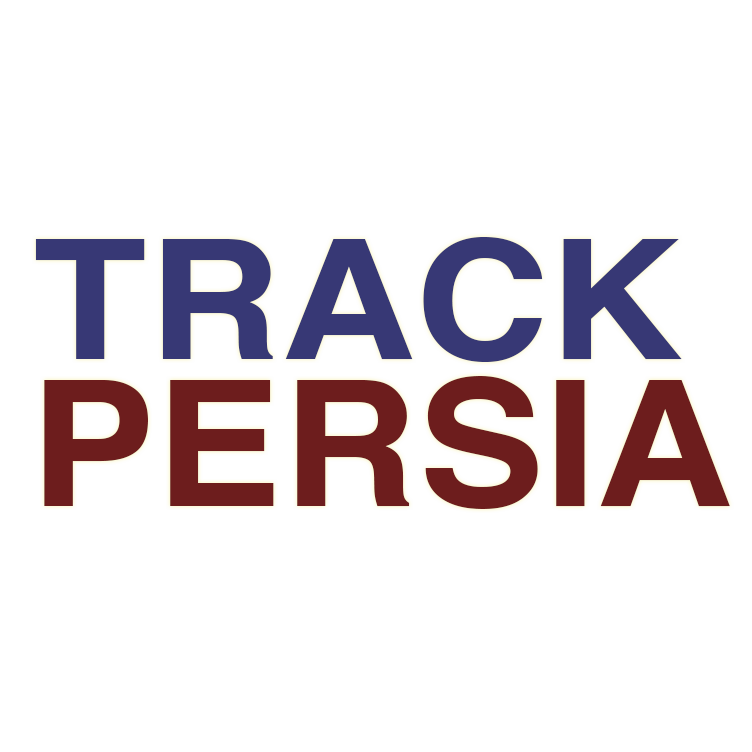 “A convoy from the Iraqi Al-Nojaba [militia], consisting of more than 100 light and heavy vehicles, has entered Iran at the Mehran border,” reported Fars News Agency, which itself is affiliated with the Revolutionary Guards. Fars added that Al-Nojaba is equipped with loaders, graders and other road-making equipment. 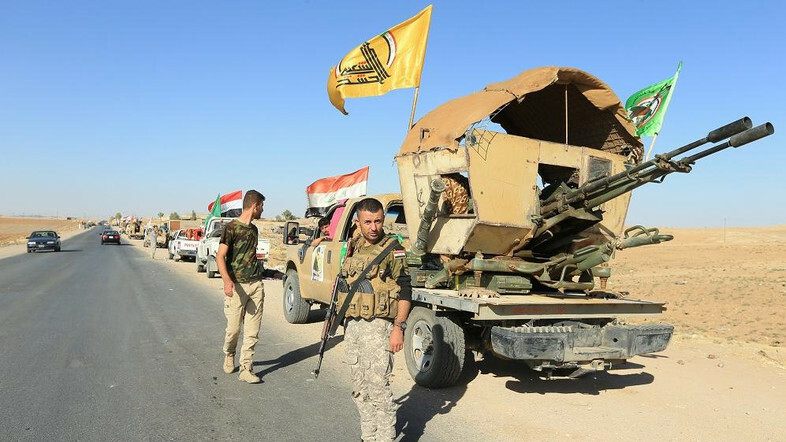 The Hashd al-Sha’bi militia also issued a statement saying that its engineering and logistics units had traveled to Iran to redirect floodwaters and to save Iraqi areas such as the city of Amarah. Hashd al-Sha’bi confirmed that Tehran and Baghdad were coordinating their planning. According to hardliner daily newspaper Kayhan, the invitation to the Iraqi militia came from General Ghasem Soleimani, commander of the IRGC’s expeditionary Quds Force. Soleimani has recently visited flood-hit parts of Iran and compared helping flood victims to “defending the shrine.” In the language of the Islamic Republic, the expeditionary forces that have been fighting in Syria to defend the regime of President Bashar al-Assad are defenders of the shrines of Shia saints. 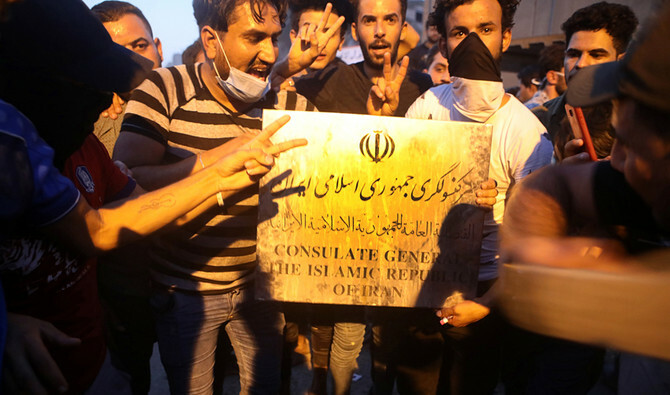 Civilians and activists in Khuzestan have been further enraged that many ethnically Arab activists in Iran – whose efforts center on civil rights for Iran’s Arab population – were arrested when Hashd al-Sha’bi entered the province. According to the Ahwaz Human Rights Organization, in the past several days 24 Arab activists, some of whom had volunteered to help flood victims, had been arrested. Civil rights activists and environmentalists in Khuzestan have repeatedly raised this accusation in recent days. 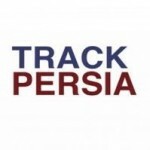 Last week, according to an IranWire report [Persian link], Mehdi Ghomeshi, head of the School of Water Engineering at the University of Chamran in Ahvaz, said the accusations seemed to be true according to the data he had seen. The arrival of Iraqi militias also led to angry reactions among Iranian social media users, who called it a “disgrace”. Some online commenters asked why a country that has two armies – the Revolutionary Guards and conventional forces – needs help from foreign militias for flood relief.